our holiday manicures with each other! must all go to a specific page, they can’t just go to your home page. Link as many entries as you want. Year so any new year’s inspired nails can get added too. Nails must be holiday related one way or the other. 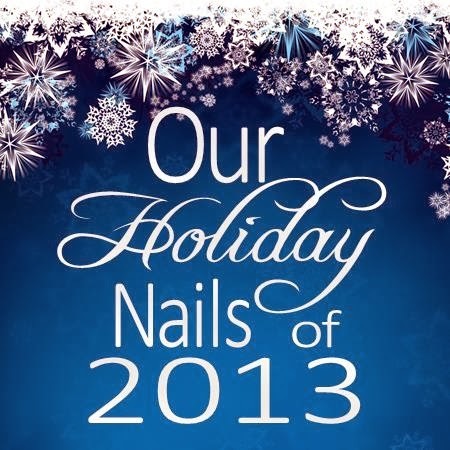 Maybe the polish you are wearing for Christmas, or your snowy nail art scene. Any and all are welcome. Video tutorials are OK as well, as long as you can upload an image for the thumbnail. and show some love to your fellow nail ladies! Everyone loves comments you know. Oh yay! Looking forward to seeing them! Awesome!! I will add a bunch of mine soon! These link ups are awesome! If your not sick of them, I had an idea for a non holiday one we could start. PM me if you like the idea. Also, thanks for all the hard work on this and the other weekly link up. You are most welcome 🙂 Thanks for being a part of it!